Note: Lodge® items do not have perfectly flat bottoms, so we cannot recommend them for use on glass top stoves. 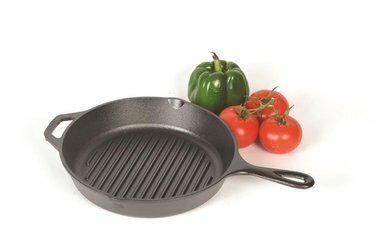 Need to re-season your cast-iron cookware? Lightly coat inside and outside with only liquid vegetable oil. Make sure to get all the corners. (Do not use butter, margarine or solid vegetable oil such as Crisco).